Snapshot: Indian car and utility vehicle giant Tata Motors has just unveiled India’s first ever indigenous-ly developed turbo petrol engine in the form of the 1.2 liter Revotron unit. The engine will power upcoming cars such as the Falcon 4 (revamped Vista) hatchback and the Falcon 5 (Manza based) compact sedan. 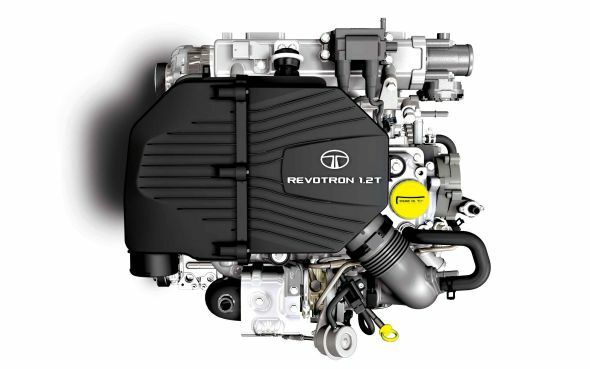 The new petrol engine family from Tata Motors will use the Revotron moniker. Honeywell and Bosch have been the major autoparts vendors who have been associated with the Revotron range of new-generation petrol engines while Jaguar-Land Rover’s inputs have also been used for the turbo petrol unit. The engine uses drive-by-wire technology for the throttle, a feature that was seen on the Fiat Palio 1.9 Diesel. Also, the 1.2 liter turbo petrol engine gets driver select-able modes for economy and performance. The 1.2 liter Revotron turbo petrol engine from Tata Motors outputs 83.84 Bhp of peak power at 5,000 rpm and 140 Nm of peak torque available between 1,750 and 3,500 rpm. The turbo petrol engine is Tata Motors’ response to the changing landscape of the Indian car market, where petrol engines could be back in favour considering the Indian government’s proposed move of completely deregulating diesel prices. With diesel prices inching northwards and the differential price between diesel and petrol becoming minimal, car buyers are expected to migrate back to petrol powered cars. Tata Motors plans to address this migration with the Revotron line of new-generation petrol engines, whose focus is on low noise, vibration and harshness (NVH) levels and also high fuel efficiency.